For all design projects, a number of trajectories are explored to determine potential opportunities and solutions, with consideration given to program, site, and budget. 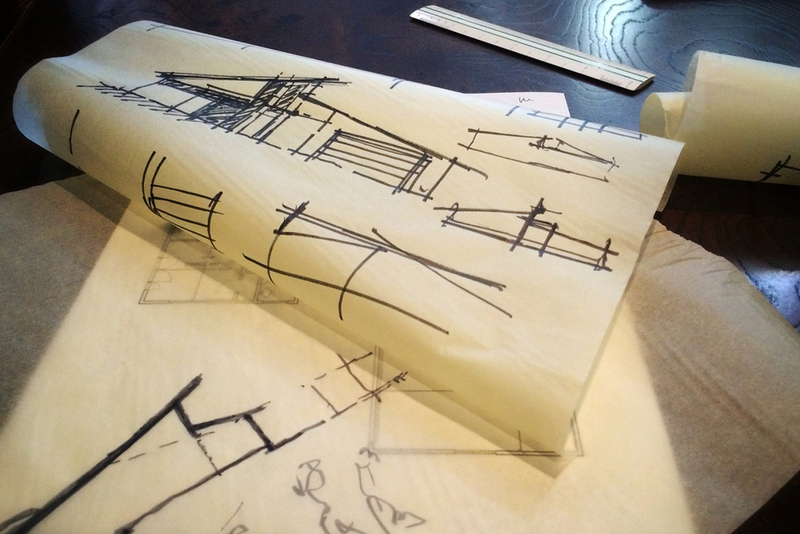 For most of our residential work, the early schematic design process is developed via hand drawings, diagrams and sketches; it seems to allow for the quickest expression of ideas and concepts in both plan and elevation. This renovation and addition incorporates new vehicular access and circulation, a new floor plan layout with increased square footage and an efficient use of space. The reimagined exterior will reflect a light-filled, open floor plan, highlighting contemporary design elements within the context of a modern california ranch aesthetic.